When you're away from home for any length of time, it can be difficult to know what to do to ensure your pets are cared for during your absence. This is where My Furry Family can help as we provide both a pop-in and home boarding service for small animals. Whatever types of small pet you have, we can visit them in your home to check on them and give them fresh food and water. We will also clean out their cage as necessary and give them some cuddles and exercise. Visits can be scheduled for as long as you like and we can visit as frequently as you think necessary. Small animal visits can be combined with cat sitting visits for no extra cost as the service is charged for by the hour, regardless of how many pets you have. An alternative to us visiting your pets at your home is for them to come and stay at our boarder's house. 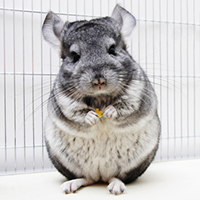 We can accommodate any type of small pet as long as it can live inside. 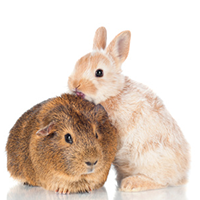 Pets such as rats and hamsters can stay in their own cages as these are small enough to be transported while bigger pets such as rabbits can stay in our rabbit hutch. We also have a tortoise table with all the necessary equipment such as UV lamps. Pets staying with us will receive the same level of care as those visited in their own homes, with the added benefit of having someone with them for at least 21 hours each day. If you have any questions or would like to enquire about booking. please don't hesitate to contact us.